Hello! 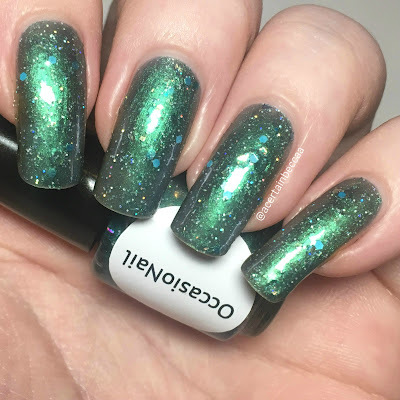 Today I'm back with some new OccasioNail polishes. Linda was kind enough to send me three sample polishes to swatch and review. 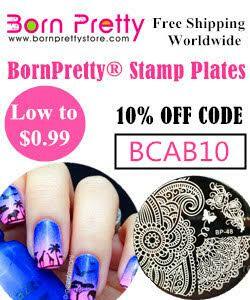 Different samples are being sent out to numerous different swatchers, so keep your eye to see lots of upcoming shades! 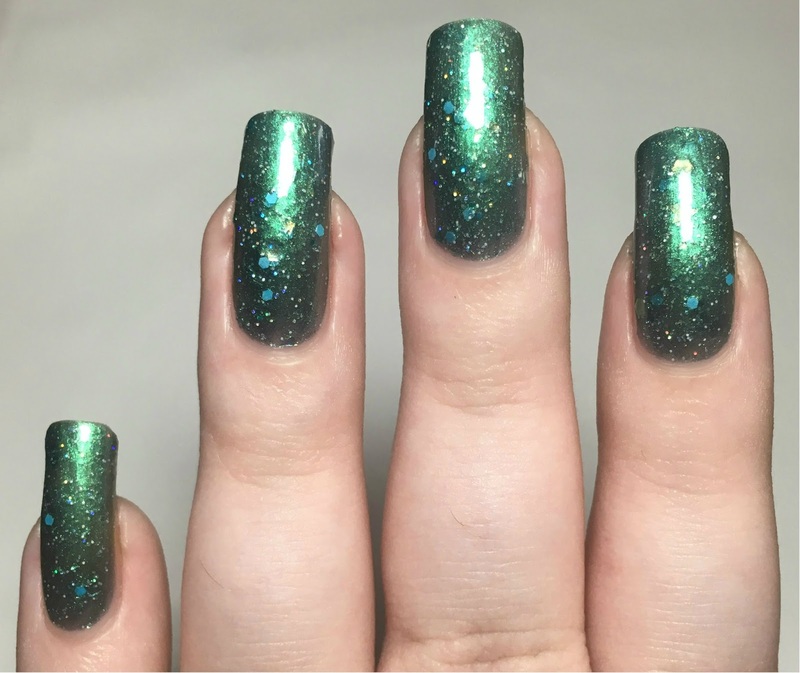 Read on for full swatches and more info on my three! Apologies if any of my swatch pictures look odd, posing with mini bottles is not my strong suit! 'Sea World' is a metallic green base with holographic microglitter, and various shapes and sizes of blue and holographic gold glitter. This is a little bit thick due to the amount of glitter, yet isn't difficult to apply. The base starts off sheer but builds up nicely. 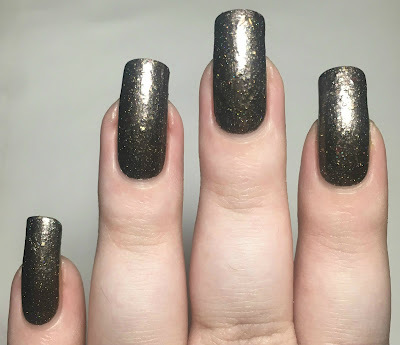 The glitter dries down slightly raised, so I would suggest a topcoat to smooth it out. Below is three coats with topcoat. 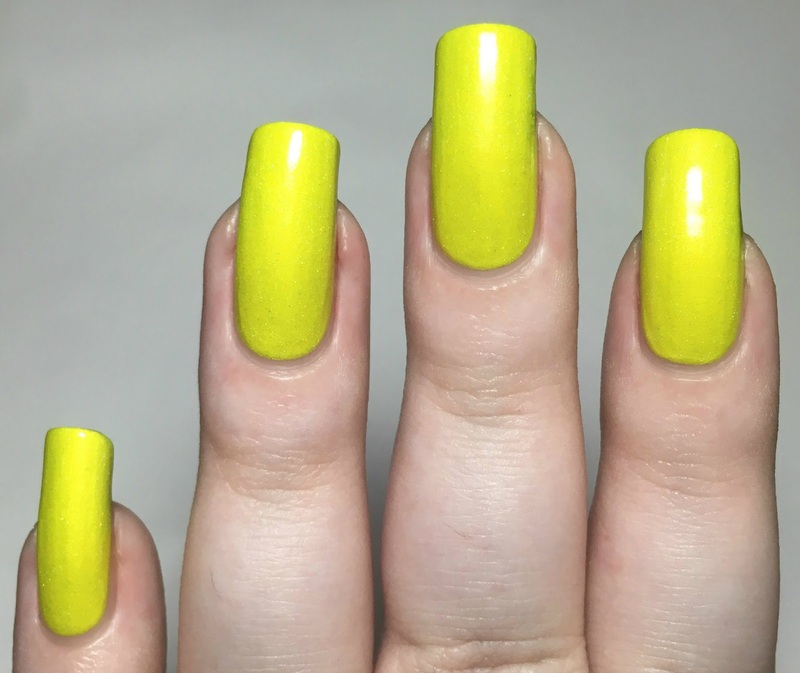 'Cut the Mustard' is a very bright shimmery yellow with fine holographic glitter. It has a smooth and very opaque formula (especially for a yellow! ), but dries quickly so can streak and patch with over manipulation. I was a bit heavy handed on my first coat, so needed three to even out the streaks. This dries matte, although topcoat really brings out the shimmer. Below is three coats with topcoat. 'Coffee Break' is a brown base with various shapes and sizes of what appear to be metallic pink and gold glitter, and fine holographic microglitter. 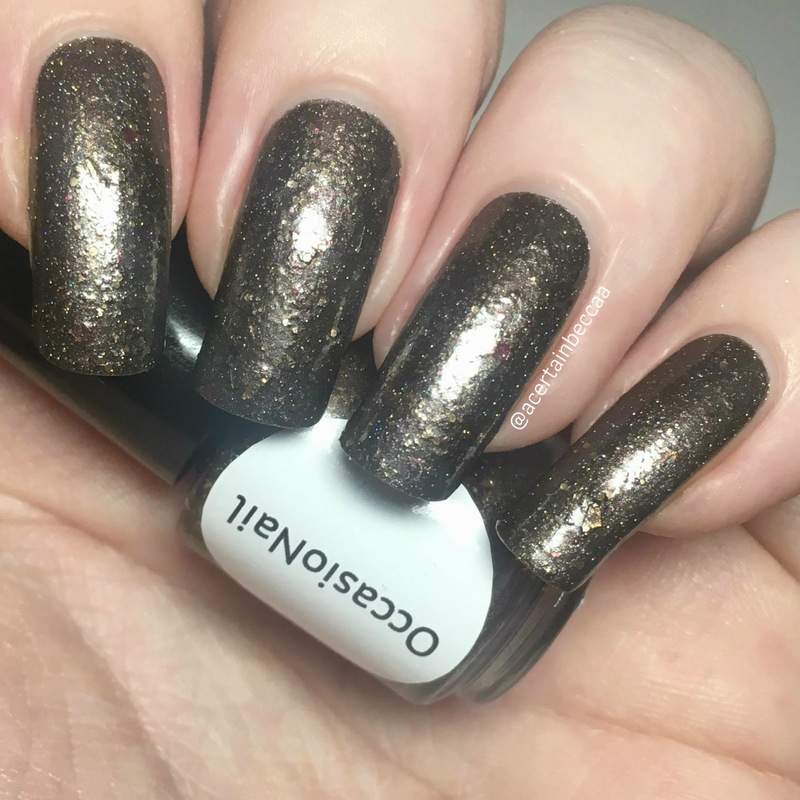 The formula is smooth and easy to apply, especially considering the glitter. It is slightly patchy on the first coat but covers fully in two. The glitters dry slightly raised, so I would recommending a topcoat. Below is two coats with topcoat. What do you think? Do you have a favourite? Formula wise I think 'Coffee Break' is the stand out for me, but I just love the colour of 'Cut The Mustard'. 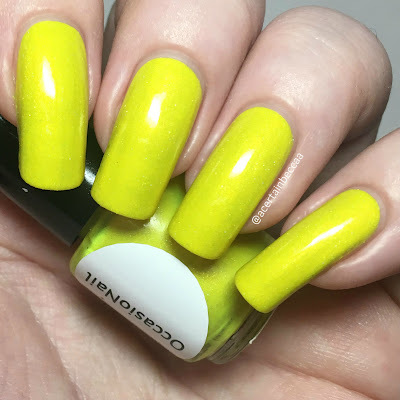 I definitely think it's worth the three coats, it's so bright and cheerful! I've been loving the look of the other protoytpes I've seen popping up too. As these are currently samples/prototypes, not all of them are available yet. 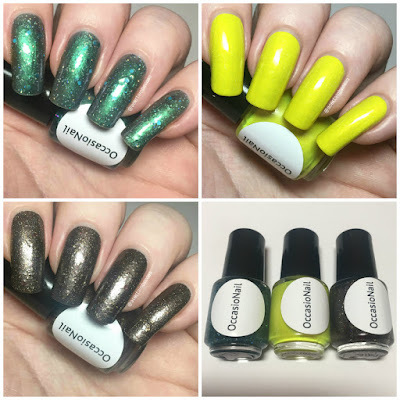 However you can find 'Sea World' and lots of other polishes on the OccasioNail shop here. You can also follow the brand on Instagram here.